Before you begin to move down the road, it is crucial to know where you are going and what you are getting into. And this guide helps you with just that! Getting a small business loan or pitching to an investor to fund your new business may seem like a remarkable feat for new entrepreneurs. While they are often essential to get your startup off the ground, it can become overwhelming with the number of options, minute details, terms, interests payments, bills, and the possible rejection due to a bad presentation of your business plan. Nonetheless, financing does not always have to be that complex. Before you begin to move down the road, it is crucial to know where you are going and what you are getting into. And this guide helps you with just that! Every startup company often spends a lot of cash on purchasing equipment, hiring staff and even renting an office before they can work smoothly in their business. Other than this, startup companies need to adapt and grow to beat the competition in the market. And in most cases, these companies would require company funding for it. For every entrepreneur who has just starting their journey and are trying to understand the world of startup financing, they should be aware of the roles of the different types of investors and how they see new startup companies. At first, these new entrepreneurs may not see the full picture of a company’s life cycle and when investors enter to provide company funding. The initial company funding that the company raises is often called “seed capital.” Seed funding, also known as seed money, is a form of funding of the business in exchange of an equity stake in the organization. And it is termed as “seed” since it is the initial company funding for the business, until the company has the ability to get cash on its own, or until the company is ready to obtain more investments. Seed capital comes in various forms like family and friend funding, crowdfunding, and angel investor funding. This brief guide is a summary for what any startup founders need to know about seed funding and seeing their company grow. Company funding is the money that investors offer to a company. In general, there are two types of financing that a company obtains; equity (stock) and debt (bonds/loans). And when a company receives it, they then use this cash for the operating capital. With this funding, shareholders and bondholders expect to earn returns from what they invested in the company in the form of stock appreciation, dividends, and interest. The growth and amount of revenue the company can gain will determine which type of company funding will be the best in the end. Confused? Let us get a bit more into the details. Raising capital through stock issuance. 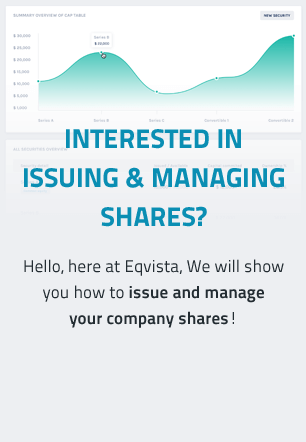 To explain the idea better, normally a company is able to issue common stock by issuing extra shares to additional investors or via an initial public offering (IPO), in the case of bigger firms. In both cases, the cash obtained from investors is utilized to fund capital initiatives. So for offering company funding, investors usually expect return on what they invested (ROI). This is called the cost of equity for the business. The ROI can be offered to investors by expertly handling the resources of the company to increase the worth of the shares or by just paying dividends. However there is a drawback to this source to raise funding, as issuing these extra shares reduces the holdings of the current shareholders as well. In short, these shareholders would have less voting rights and ownership of the company. The other way to raise funding is by issuing corporate bonds to investors. As soon as the bond is issued, they get in effect, the amount that is borrowed from the investors as semi-annual coupon payments until the bond is completely paid off. The coupon rate that is applied to the bond outlines the cost of the debt for the issuing business. Along with this, bond investors have the chance to buy a bond at a discount, while the actual value of the bond would be compensated when it matures. For instance, an investor who buys a bond for $1,500 would get a payment of $2,000 when the bond matures. This difference in amount is how debt investors earn money on their investment, which will be paid off by the company once it starts to grow. The methods mentioned are not the only method available. You can also raise funding via debt by taking loans from commercial lending institutions or banks. These types of loan are considered as long-term liabilities on the balance sheet of the company and this debt decreases as the loan is paid off over time. You would also need to pay the interest on the loan as the cost of taking the loan from the bank. However, as the interest the company needs to pay to the lender is deemed as an expense for the company, the tax on the company profits would be reduced as well. Even though a company is not required to give any payment to the shareholders, it has to pay all the coupon and interest payment to its lenders and bondholders. And this is one reason why raising funding via debt is a much more expensive when compared to obtaining company funding via equity. Nonetheless, if the company goes bankrupt and the assets are liquidated, the creditors would be given the payment first before the shareholders are paid. There are many companies that offer company funding to businesses, such as venture capitalists. However, these companies usually focus on a specific industry like the healthcare industry or tech companies, and also focus on funding a particular stage of the business, like the startup stage of a company. Most startups that come into the market need funding, and if there weren’t any method to raise funding for these companies, they would fail soon after starting. The amount of money needed for a company to be successful is more than what the founders, their family, and their friends usually can finance. It is common for high growth companies to burn capital for sustaining their growth before they get to a profitable level. And yes, there are some companies that fortunately self-fund (bootstrap) themselves, but these companies are exceptional ones. Company funding is not only for startups to grow and live, it is also used for other advantages like sales, marketing, public relations, and hiring key staff. Due to this, most startups make every effort to raise funding. The good news is that many investors are sitting out there hoping to invest in the right startup. But there is huge competition to raise funding where the process is usually highly deflating, complex, arduous, and long. Nonetheless, this is a path that each company has to follow at least once. But when is the right time to raise funding for your business? When to raise funding for your company? Investors usually write checks when they believe in your company’s idea and find it compelling. They are persuaded that the founders and the team can realize their vision and if they feel that the probability of the plan has high potential, they will put their money in the idea. So, when you are ready to tell this story, you can raise funding at exactly the right time. Though it is easy for almost every founder to have a reputation and a story, they would also need to have the product, idea and a little amount of customer traction. Fortunately, technology has enhanced considerably, where a mobile app or a sophisticated web product can be developed in a short amount of time and at a low cost. That is not all. Everything has become easier due to technology and investors providing the company funding need to be persuaded. Normally they are not only looking for a simple product that can be seen, used or touched. You would also have to let them know what makes the product great for the market and what is the actual growth of the product for the future. In short, it is better for the founders to raise funding when a product matches the market’s needs and has the potential for wide use due to the high market opportunity. Along with this, they would also have to determine who the customers are. So, to obtain the company funding, the founders have to have a project that impress investors. How much funds to raise? Preferably, it is better for you to raise the money for covering all the startup costs, match your breakeven level and reach the profitability, so that there wouldn’t be any need to raise funding until the company is running and making a profit. In case you succeed in this, you would find it easy to raise company funding in the future as you have proven you have a good idea and a company to support it. With all this said, some startup companies would need a follow-up seed funding. Their main objective needs to be to raise funding that is needed until their next “fundable” milestone. This milestone comes typically after 12 to 18 months. Also, you need to know that the amount of funding that you choose to raise would also determine what variables you are trading off, like the progress that the amount of money would bring, dilution, and credibility with investors. In case you succeed to give up just 10% of your company during the initial round (seed round), it would be great. But most of the round frequently require a 20% dilution, and it is advised to avoid a dilution of more than 25%. For any of the cases, it is essential to have a credible plan for the amount that you ask for. With this plan, you would be able to persuade investors that their money would grow, and that you have outlined every step for the company. It is recommended to create several plans with different amounts of company funding raised. This is so that if you raise a lesser or higher amount, you would have everything necessary to run the company. The only difference would be the time that the company takes to grow with the company funding obtained. One of the best ways to get the optimal amount in your seed round is to decide how many months of the company’s operation you would want to fund. Let’s say that you are opening a software development company, and an engineer charges $4k per month as salary. If you want 5 engineers to work with you and you want to fund them for 18 months, you would need to have at least 4k x 5 x 18 = $360K. You just need to see what you want for the company and for how long would you be funding the company in this case. Now getting back to the actual question: How much are you raising? The answer is simple where you are raising company funding for N months (where N can be between 12 months to 18 months) and would need $X (where funds can be between $500k and $1.5 million). In short, you can have multiple ranges of X and versions of N, giving you the possibility for different growth situations. Every company needs a different amount raised, and the variation in the amount raised for every company can be enormous. However, what you need to focus on is the funding which usually ranges from a few thousand to several million. Let us take an example of the famous Amazon that was founded by Jeffrey P. Bezos and generates about $61 Billion as revenue in a year today. Amazon started in Bezos’ garage and holds the title of the world’s largest online retailer now. It was in 1994 when Bezos came up with the idea to quit his job and start an internet company, due to the sudden popularity of the internet amongst people around the globe. But things didn’t work out for him immediately. He prepared a list of 20 top products that he could sell online and decided that books were the best choice. And that is when things took a good turn, where this was just the beginning for Amazon at that time. The seed funding was from his parent’s personal savings, where they didn’t even know what the internet was at that time. They had basically put a bet on their son. Moreover, Bezos had told them that there was a 70% chance that he might lose the complete investment, but they still invested a few hundred to thousand dollars in his idea. After that, Bezos needed more funding in the second year, and Amazon had raised a series A from the Kleiner Perkins Caufield & Byers of about $8 million. As you may know, that was not the end of it. Amazon went public in 1997 to raise more funding and by 1999, the investment that Kleiner Perkins Caufield & Byers made had a return of over 55,000%. When Bezos had to raise funding for the company, Amazon had sales that were up to $20,000/week. And since then, the company has become one of the biggest corporations in the world, and is now focusing on long-term growth and global dominance. As you can see, Amazon is a perfect example of how a small one man startup, through the years, can become a big corporation which can change the market completely. The important thing to keep in mind about company funding is that paying back lenders and dealing with them can become a nightmare if everything is done carelessly. If you are doing right, you would see your business grow. The pro and cons to search for the external capital comes back to the ROI (return on investment). Hence, it is crucial to evaluate the ROI. You would need to use the investment to grow the company and generate revenue. The same rule is applied to raising debt or equity. You need to know how to grow your business with it. So, if you have decided that you need outside company funding, the next thing is to determine what type of financing you need. Do you need the debt financing (various forms of small business loans) or equity financing (money from investors)? Find out which one is the right choice for you in the next guide.